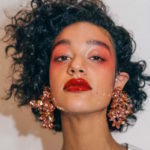 With Valentine’s Day literally at our door, it’s hard enough to finalize those plans with our boo or besties, let alone worry about what to wear and how to put together a fierce face. After all, it’s a day devoted to love so we’ll want to look the part, and what better time than V Day to pull out those bubblegum, rosy, and mauve-y pink shadows and blushes? Pinks and reds are super fun to work with and the rosiness adds a touch of romance to any look. Don’t be afraid to go all-out; pinks and reds are not strictly for lips and cheeks. 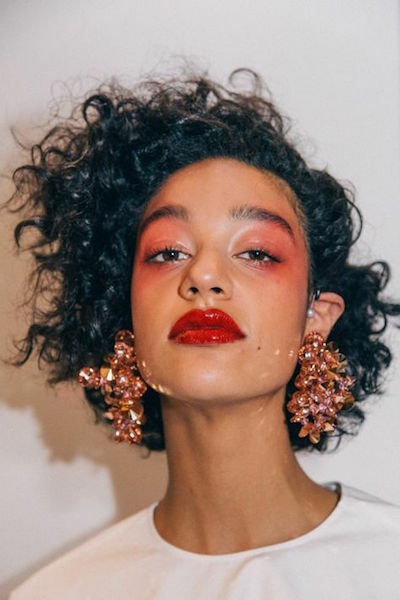 Rosy, and even red, eyeshadow are having a trend resurgence — and they’re easier to pull off than you think. We’ve gathered up some tips on how to rock pink and red makeup this Valentine’s Day without looking like a flamingo. Trust, it’s gorge. 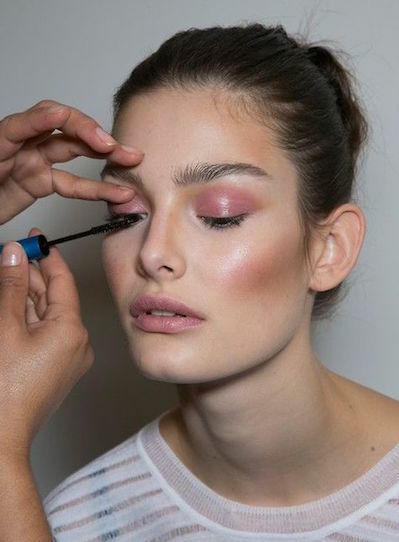 For a super chic and subtle eye makeup look with a lot of charm, do a wash of color—lighter shades of pink work well so that you avoid looking like you’re the sad recipient of an unfortunate case of pink eye. Too Faced Sweet Peach Eye Shadow Collection Palette ($49), for multiple shades of earthy pinks, and then some. Bite Beauty Multistick ($24) in Lotus and Macaroon, can be used on eyes, lips, and cheeks! Make Up For Ever Artist Shadow Eyeshadow ($21) in M806, ME866, and D862…but there are countless rosy shades in 4 different finishes from this line! Chanel Les 4 Ombres Multi-Effect Quadra Eyeshadow ($61) in Tisse Cambon. Milk Makeup Eye Pigment ($24) in After Party. With light pinks you can go ahead and match lip color to eyeshadow as long as you’ve kept the color in the same shade family. For subtleness, use a pink gloss instead of lipstick. But, if you want your lips to do all the talking (and kissing) this V Day, go for a bright pink or red lip, just keep eyeshadow minimal. Kat Von D Studded Kiss Lipstick ($21) in Mother. Givenchy Le Rouge ($25), a red and a pink mini lipstick so you don’t have to choose. Marc Jacobs Kiss Pop Lipstick ($28) in Pow 600. Make Up For Ever Artist Liquid Matte Lipstick ($20) in Cold Pink. Marc Jacobs Enamored Hi-Shine Gloss Lip Lacquer Lipgloss ($28) in Moonglow and Love Buzz. A bright red or pink lip requires little else, so opt for a sheer cream blush in a pinky hue to give that barely-there blushing effect. 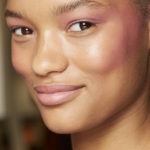 Or even a pink highlighter to add subtle color and sheen while your eyes and lips get the attention. 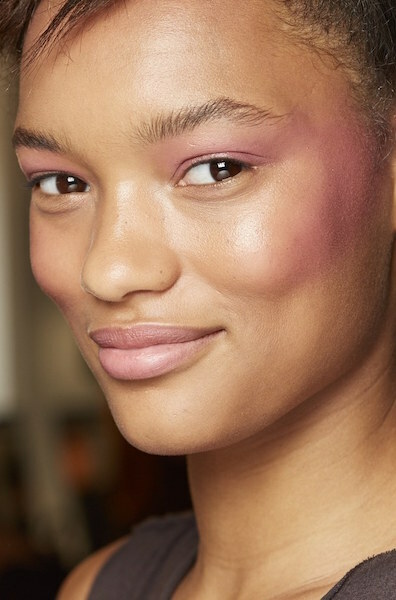 If you want cheekbones to have all the fun, then go for a bright pink blush, just keep the rest of your makeup simple (unless you want to look like a color swatch). Nars Blush ($30) in Gaiety and Angelika. Tarte Amazonian Clay 12-Hour Blush ($28) in Dollface and Flush. Dior Rosy Glow Healthy Glow Awakening Blush ($44) in Petal. Benefit Dandelion Dew Baby-Pink Liquid Blush ($28). Becca Mineral Blush ($32) in Flowerchild or Hyacinth for high impact. Stila Aqua Glow Watercolor Blush ($26) in Rosewater. Hourglass Ambient Lighting Powder ($46) in Mood Light for serious pink highlight. *Check out the slideshow above for pink and red V-day beauty inspiration pics.